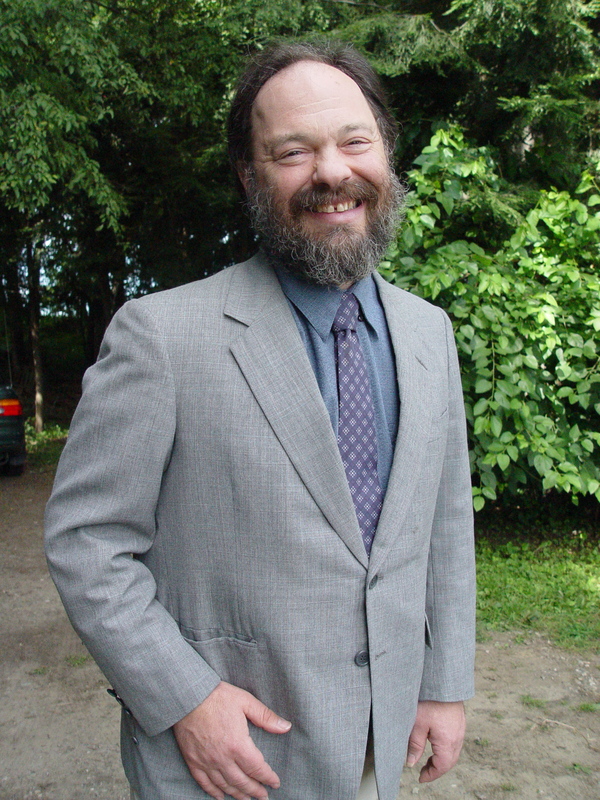 Shel Horowitz has worn many hats – consultant, copywriter, author, speaker. In this wide-ranging interview he touches on numerous topics including marketing, the art of self-publishing, networking – and, of course, his books. I’m fortunate that I have a gift for explaining complex concepts in clear, simple language – and that I love doing this. I’ve been writing professionally since the 1970s, and writing books is an outgrowth of the many articles I’ve written. When I have something to share that would be way too big for an article, a book makes sense. I’ve done it eight times so far. Guerrilla Marketing Goes Green, co-authored with Jay Conrad Levinson (the Guerrilla Marketing man): a guide to marketing in the green marketplace, including many advanced yet easy/inexpensive techniques for marketing in general. Grassroots Marketing for Authors and Publishers, a whole book on marketing books. Grassroots Marketing: Getting Noticed in a Noisy World, one of the best Marketing 101 primers out there. The first two offer large bonus packages, by the way – things other people have offered so as to reach my audience. The Guerrilla book has $2000 worth. It’s a good strategy. Sales are modest, but the important thing is that the right people buy. People buy my books and then hire me as a marketing consultant and copywriter, as a publishing consultant or as a speaker. 3. You have extensive experience in both self-publishing and with traditional publishing. Describe your experience with both. I’ve done four books each way. Self-publishing offers complete control, quick turnaround and – as your book starts to succeed – higher profits. Traditional publishing offers an advance instead of a printing bill, distribution, higher credibility – but not only do you give up control, you also face extreme pressure to succeed in a hurry. They want rocket sales in 90 days, and you can expect to do all the marketing. Self-publishing can also make traditional publishing a lot easier, if you do well at it. Three of my four traditionally published books were revisions/expansions of books I’d originally self-published. 4. As someone with a background in the area, you know there’s a fine line between marketing to people and spamming them. How does an indie author draw that line? If you would be annoyed if someone else sent you that much mail, you’re way over the line. Assume other people have lower tolerance than you do, so cut back to 1/3 less than what would annoy you. 5. What has been the most surprising thing you’ve learned through marketing your books? Books open doors more than they create direct revenue streams. Opportunities present themselves, but very few people make any real living on the book sales themselves. 6. For the self-published author, networking is key. But everyone uses the same sites – LinkedIn, Facebook, etc. Are there good websites or resources that many authors seem to be missing? Every author should research and participate in communities within their niche. For example, as a marketer who helps authors and publishers, I have gotten a huge amount of consulting and copywriting work (and even some paid speaking) over the years by participating in several online communities for independent publishers. I’ve also learned a lot on these boards about how to be a much better publisher. 7. What are some easy mistakes that self-published authors should avoid in their marketing efforts? Don’t do your own cover, and especially don’t do it in MS Word. With a million books published in the US in 2010, your quality has to be as good as anything coming out of the big houses: cover design, interior design, quality of writing, editing, proofreading, etc. – but covers create the first impression and are especially crucial. 8. Overall, how do you like self-publishing? Self-publishing is great when done right. You want to bring in professionals for design, editing, and printing, and to put in some resources toward marketing. And with today’s technology, there’s no longer a need to tie up a lot of capital in inventory. 9. What sort of marketing techniques have you used to sell your books, and which ones have been most successful? I wrote a whole book on this (Grassroots Marketing for Authors and Publishers) so I have a long list. Among the highlights: partnerships, referrals, media publicity (I was quoted or cited in at least 131 stories last year), and ways to demonstrate my expertise at no cost, such as my participation in social media discussions, my writing, and my speaking. 10. Are there any marketing techniques you have intentionally avoided or discontinued, and if so, why? I do very little paid advertising. I think for most of us, there are more effective and less expensive ways to get noticed. Advertising has its place, but you have to know what you’re doing, understand how it will and won’t meet your objectives, and be willing to throw a lot of money at it. And to sell a $20 book, I wouldn’t recommend traditional direct mail. Use your direct-mail budget to reach influencers (e.g., librarians, book reviewers, bookstore owners). Or use creative ways of direct mail that are a lot cheaper, such as co-op campaigns. Or understand that the real profit will be on the back end, as you sell your customers more (and higher priced) stuff. Otherwise, you might be spending $30 or $40 for every $20 sale. I tell my clients who are considering direct mail that they should be comfortable with the numbers on a half-percent response (1 sale per 200 letters). Of course, I have many methods of boosting the response, but still, they should prepare for the worst case. 11. What’s the most important thing you’ve learned about self-publishing that you didn’t know when you started out? Your books have to be at least as good as anything coming out of a big publisher. Not just the text but the research, design, the production, the marketing…. 12. If you could do one thing differently in publishing your books, either online or in traditional media, what would it be? I’d like to find the magic wand that turns media publicity into book sales. I feel like for the kind of publicity I get, it should sell more books. 13. Independent authors face the obvious challenge of marketing their books without the resources of traditional publishers. What advice do you have for an indie author just starting out? * Find a niche and get known in it. * Locate the “players” in that niche, build relationships with them, and invite them to partner with you. When you go in on the arm of someone who’s already respected and trusted by your best prospects, the results are a lot better. 14. What projects are you currently working on? * Beginning a revision/update of Grassroots Marketing for Authors and Publishers and thinking about creating a series of e-books from it and marketing them for a few bucks on Kindle, Nook, iTunes, etc. 15. If you could market your brand – not just one particular book, but your overall brand of writing – in one sentence, what would it be? 16. How can readers learn more about your books? Brief descriptions at frugalmarketing.com/cart, and they all link to much more information. Thanks for featuring me here, Kris. I hope your readers find it useful.